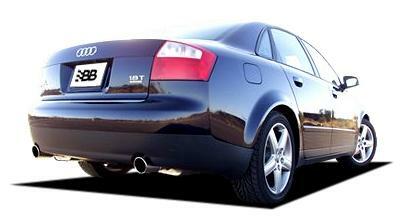 Unleash all your power and give your car a deep one of a kind rumble with this BB exhaust system!!! In true Billy Boat Performance Exhaust fashion, B&B has expanded their already large Audi line with the addition of a newly designed system for the all new Audi A4. Manufactured using only the highest grade T304 stainless steel materials available the full 2-1/2” system is a direct replacement for the restrictive factory system providing increases in both horsepower and torque. Hand fabricated mufflers incorporating B&B’s unique Purge Resonance Technology (PRT) give the A4 a distinct exhaust note that is louder than the stock yet pleasing to the ear. 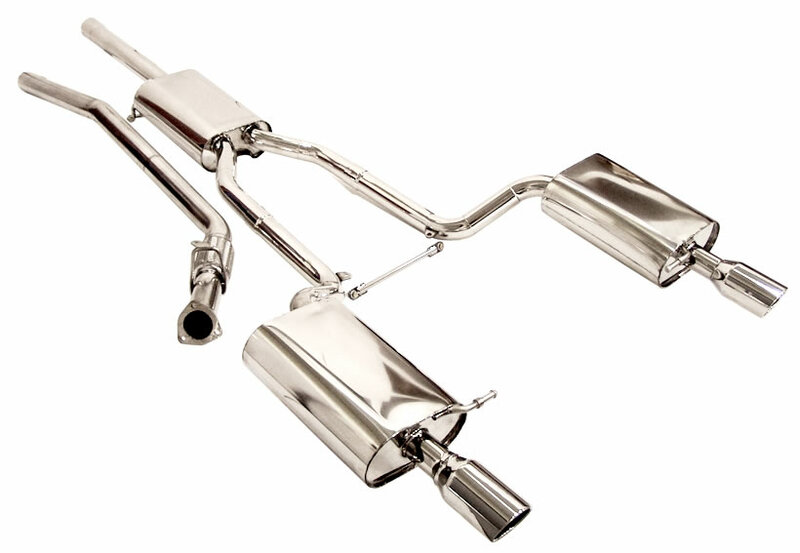 Billy Boat Performance Exhaust offers a touring system or a sport version that replaces the center resonator with a hand fabricated x-pipe for the owner that is looking for a louder, more aggressive note. To finish the system off B&B uses a twin tip design using 3.5” round double wall tips for a look that is pleasing to any enthusiast’s eye. With the system being an after cat design it is 50 state emissions legal and is backed by B&B’s limited LIFETIME WARRANTY! Modbargains was a pleasure to deal with and cut me a great deal. Jason was very helpful and informative through the entire process. I could have gone with a Magnaflow system to save some coin, but I really like the sound of the B&B setup I saw in some Youtube videos. The system went on great and there weren't any fitment issues at all. Exhaust just arrived! Thanks Jason & ModBargains for the fantastic deal!